President Trump bluntly stated earlier this week that he believes Barack Obama is behind both the protests and the leaks. I believe he is exactly right. People shoot back that Obama was on vacation during most of this. Since when has that stopped him? And it is even more likely that it is Valerie Jarrett behind all of this. It has her fingerprints all over it. Barack Obama has an army of 30,000 activists in OFA at his beck and call. Trump made a big mistake by not firing everyone connected to Obama immediately after being elected. There are even some Republicans who could be in on it. It’s not a conspiracy… the leaks are happening and so is the sabotage. As far as proof goes, of course there isn’t any. You think he’d leave a calling card at the scene? Come on… we’re all big boys and girls here. Just what did everyone think would happen? That Obama would passively stand by while his legacy was dismantled? Not likely with Jarrett behind the scenes. And Obama wants to be seen as the champion of the left here. Yes, it is politics and it is war. That’s how the game inside the beltway is played and you are naive if you don’t get that. 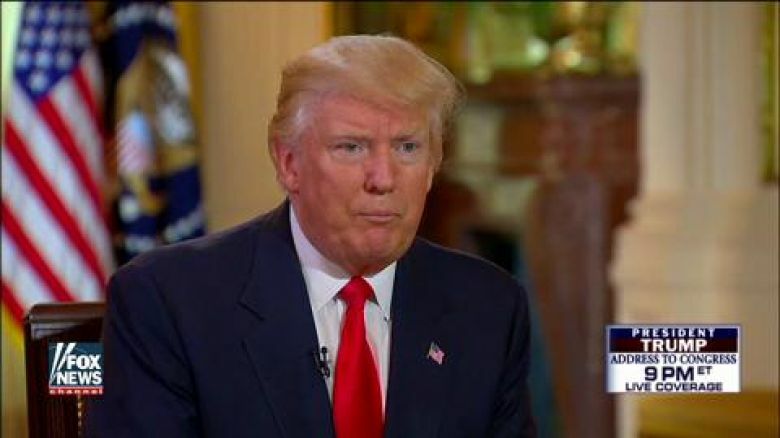 President Donald Trump sat down for an interview with Fox News’ “Fox & Friends” that aired Tuesday morning and covered a lot of ground, from his immigration order to the protests that have spread across the nation. During the interview, Trump was quite blunt about who he thinks is behind not only the protests that have occurred since his election but also the leaks that have plagued his administration, Breitbart reported. Obama’s organization Organizing for Action has been shown to be behind some of these protests, but so far there hasn’t been any proof that Obama himself has directed them. “You know, some of the leaks, which are very serious leaks because they’re very bad in terms of national security — but I also understand that’s politics. And in terms of him being behind things, that’s politics, and it will probably continue,” he added. Obama was setting Trump up before he was ever inaugurated. He was sabotaging Trump’s cabinet picks left and right… planting rumors here and whispering just the right thing in someone’s ear over there. The devil would be proud. Trump isn’t surprised or deterred by any of this… in fact, I’m sure he anticipated most of it. Don’t brawl with a brawler if you don’t want to get bloody. These protests and people showing up at town halls are all staged and choreographed by radical leftists. They have their marching orders and have already gone into battle. The right is going to have to vociferously stand up against these people. Not violently, but with solid arguments and a stiff spine. President Trump needs Americans to stand by him in this fight. There’s too much at stake to let these asshats pull this crap. It is an unfolding, discreet civil war and we better treat it as such. And President Trump needs to purge the enemies within that are still in the White House.